Product prices and availability are accurate as of 2019-04-17 20:19:42 UTC and are subject to change. Any price and availability information displayed on http://www.amazon.com/ at the time of purchase will apply to the purchase of this product. 1. 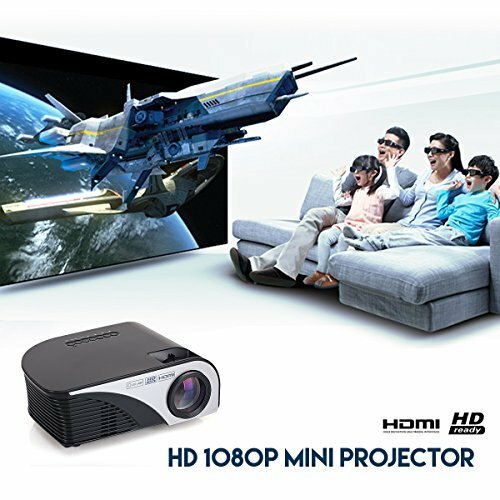 High definition HDMI 1080P mini projector. 5. Super connection,massive application,support phones,computers,digital cameras,laptops etc. 7. Multuple input,HDMI/VGA/USB/AV/AUDIO OUT (USB supports up to 32gb). 1. 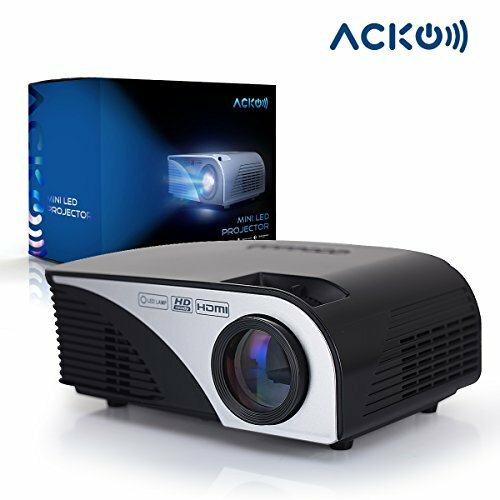 Projector System:4 inch LCD TFT display. 5. Image Flip:360 degree flip. 6. Lens:3 pieces of glass lenses,manual focus. 7. Aspect Ratio:16:9 & 4:3. 9. Lamp Type : LED,50000 hours life. High power LED lamp produces 1200 lumen, which is 20% more than most in the same class. Built in high quality stereo audio so you get complete home theater system wherever you go. High quality 3-piece multi-coated optical glass lens that produces amazing focus and color reproduction. better light transmittance and temperature resistance. Support wide array of devices including AV/VGA/USV/HDMI slots to make to easy to connect to your smart phone, laptop, desktop computer, tablet, DVD, WII, XBOX, MP5, and digital cameras. With only 8" x 6" x 3" in size, it small enough to take it with you anywhere for your next road trip, camping, or professional presentation. 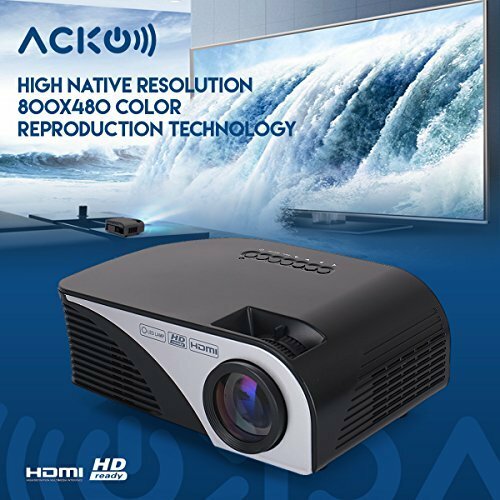 It is perfect to stream videos, movies, picture slideshows, or anything you want to play on the wall or projector screen. 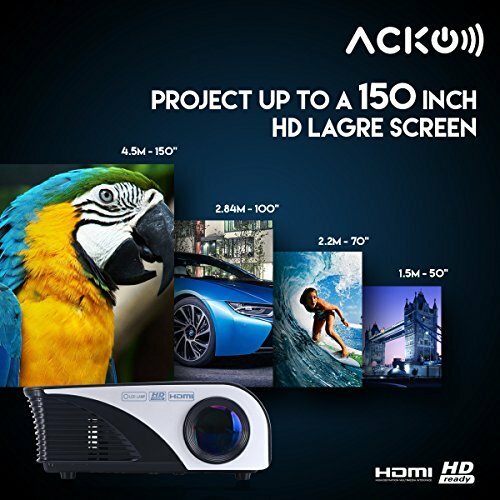 Big size range from 20" -150" making it flexible to play it anywhere that suits your needs--Making anywhere your personal home theater. Also comes with a remote control for easy access without leaving your seat.